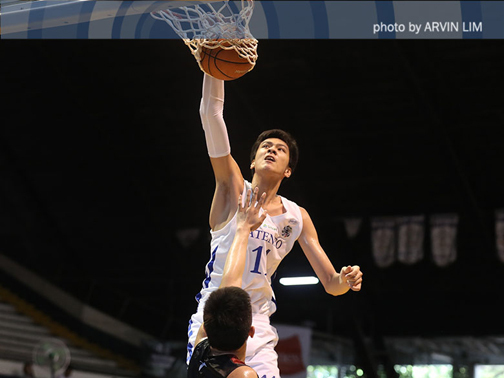 There is no stopping high school standout Kai Sotto from leaving the Ateneo Blue Eaglets. Once the 7’2” Sotto finishes 11th grade, he is free to leave the country and pursue his dreams of playing in the National Basketball Association someday. Epok Quimpo, manager of the Ateneo Basketball Program, said this after the 16-year-old Sotto announced his decision to leave the school in an Instagram message to his followers late Monday evening. “Pinag-isipan ko po ito ng mabuti. I will train very hard and sacrifice and focus in the next few years so that one day soon, you will be very proud of me. Gagawin ko po ang lahat ng makakaya ko, with the guidance of my dad and mom, to be the very best that I can be,” said Sotto on his message. Sotto plans of making it to the NBA by 2021 or 2022. If he makes it, he will be the first pure-blooded Filipino in the league. “Ateneo has been consistent in terms of support for Kai, whether he stays with the school, or he goes,” said Quimpo, who had talks with Sotto’s father Ervin, a former professional basketball player. Quimpo said the school will let Sotto finish his academic obligations first. Sotto, who played for three years with the Blue Eaglets, averaged 25.1 points, 13.9 rebounds, 3.4 assists and 2.6 blocks in 29.7 minutes on his final season. The Blue Eaglets went on to settle for runner-up honors in the last season of the UAAP junior basketball tournament after losing to the Nazareth School-National National University Bullpups. Despite the loss, Sotto still claimed the season Most Valuable Player award. Several European teams are interested in Sotto, but his father Ervin and his guardian, Arben Santos, have not discussed this in public. Clubs like the EuroLeague’s Real Madrid, FC Barcelona and Baskonia, Bundesliga’s Alda Berlin and Liga ACB’s Movistar Estudiantes are among those interested. “After a lot of effort by me and my dad to assess all the opportunities presented to me, I strongly feel, with his advice and the advice of other experienced mentors, that leaving immediately to start training and getting the right exposure will go a long way to help me realize my dream,” wrote Sotto.